It’s that time of year again when love is in the air and men everywhere realise they really should’ve started thinking about Valentine’s Day a bit sooner. Slap-up meal? Everywhere’s booked out. Flowers? Too obvious. So why not try something a little more imaginative for a change... like a romantic camping trip for two! 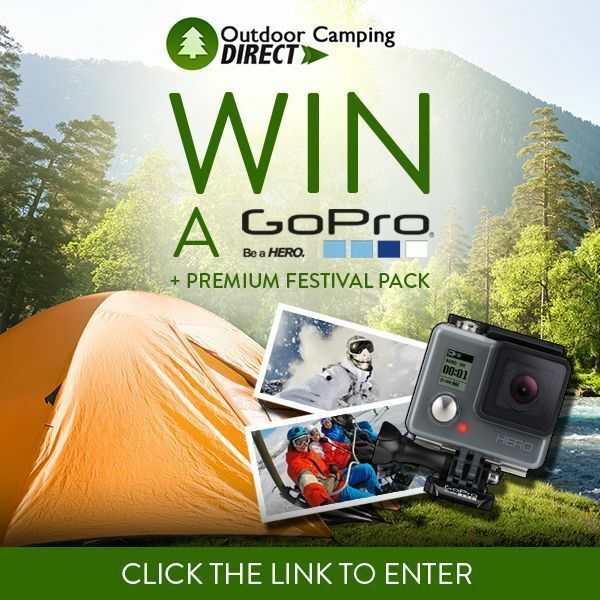 We also have a mystery prize for the person who shares us the most!Whisk your partner away and WIN a GoPro Hero Camera and a Festival Pack providing everything you need for the perfect suprise! How to win this amazing prize? Simply LIKE & SHARE us on Facebook and Twitter and you will automatically be entered into our prize draw. The Hero makes it easy for you to capture and share your life. 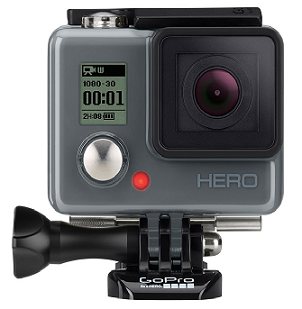 It is built into a rugged, waterproof casing and equipped with high-quality 1080p 30 and 720p 60 video, which is why the Hero delivers the same immersive footage that have made GoPro to one of the best-selling cameras in the world - all very simple, so it is easy for everyone to handle. Another user-friendly feature among others of this camera includes QuikCapture, what turns the Hero in a one-button camera and with whom you turn on the camera by pressing a single button and you can start recording, the Time Lapse function which shoots a photo every half a second, and Burst-photo that allows you to capture fast action sequences with up to 5 frames per second. Stunning 1080p30 and 720p60 video, 5 megapixel photos with 0.5 sec Time Lapse and 5fps Burst modes, Rugged, durable and waterproof to 131ft (40m), QuikCapture enables you to power on and record automatically with the press of a button, Wearable and mountable for engaging, immersive self capture during your favourite activities, SuperView captures the world's most immersive field of view, Auto Low Light mode intelligently adjusts frame rates for optimal low light performance, Ultra wide angle glass lens enables engaging, immersive footage of you and your world, Built in microphone, Integrated camera + housing design, Supports microSD cards up to 32Gb (Class 10 or UHS 1 required, sold separately), Video: 1080p30 / 720p60. A Carnival Tent which is made of lightweight fabrics, is simple to pitch, and easy to transport. It has a single-skinned, dome design that keeps you dry and comfortable throughout your adventure. A Sleeping Bag ideal for all conditions 3 seasons with temperatures from+18° / -5°. The sleeping bag has a 300gm2 Double Layer Hollow Fibre which provides an extra layer of insulation. It is also protected against moisture and the hood is rigid which means it will maintain its shape and give you a better night’s sleep. Though it is intended for tougher use than festivals and campsites, this sleeping bag will serve you well in any environment. Where there are tents there are tent pegs, and where there are tent pegs a rubber mallet is needed. This Rubber Mallet has a 12oz head weight and a strong wooden shaft. At the opposite end of the rubber part is an extractor for removing the pegs you have hammered in. This clever idea makes our rubber mallet ideal for camping. The rubber head also makes it less likely to disfigure the tent pegs after some hard hits. The 9 LED Light Rubber Finish Torch is the essential tool if you’re off camping, hiking or to a festival. Its lightweight design means it can easily be kept in your handbag, rucksack or pocket. The 9 LED Light Rubber Finish Torch has a soft touch rubber finish and a weatherproof design. This torch has been built to be tough and durable through every season. With 9 built in LED lights, this torch has a powerful beam and will last up to 18 hours! So whether you're out at night or are faced with a power cut, it’s a handy device to have around. Included is a lanyard and three AAA batteries.